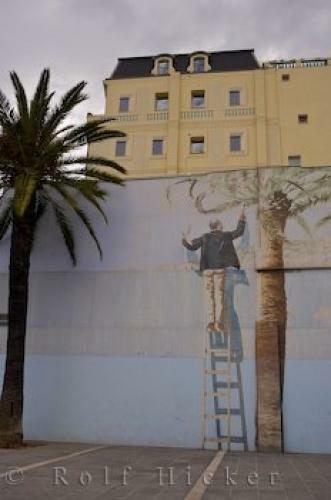 A realistic wall mural adorns a wall near the market place in the city of Nice, Cote d'Azur, Provence, France. Wall Mural near the markets, Cours Saleya in the Old Town of Nice, Provence, Cote d'Azur, France, Europe. in the Cote d'Azur, Provence, France.